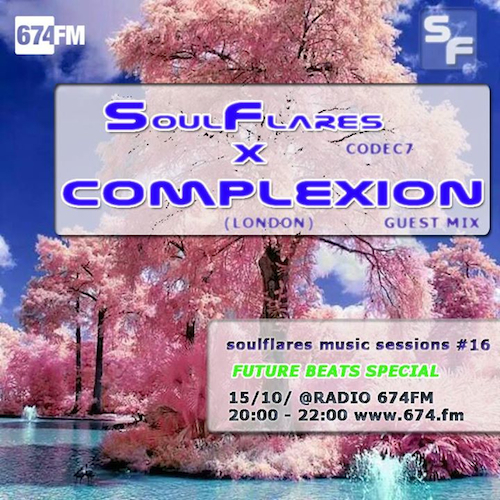 Soulflares Music Sessions #16 presents a guest mix by London’s future beats pioneer DJ Complexion. Tune in and enjoy a 2-hour flight through finest future beats and sounds of tomorrow! The Future Beats Show hosted by Complexion is a fast rising collective of sounds that span from electronic R&B to new-age house, to trap and jazz. DJ Complexion is London’s biggest pioneer in this genre and uses his background as a battle scratch DJ and turntablist to provide a high energy DJ set across a wide variety of future beats styles. 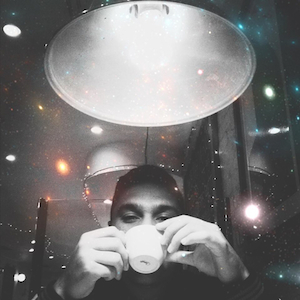 Earlier in 2014, Complexion decided to handpick his favourite artists to commission bespoke singles and EPs that relate to the cosmic and spacey side of Future Beats. Since its launch FBR had 3 plays on BBC 1Xtra as well as considerable press and blog coverage.